Seemingly taking a cue from the most recent official poster for the new take on the classic movie monster Godzilla, the folks at Mondo have debuted a new poster designed by Phantom City Creative (who designed last year's Comic-Con poster for the film) to hype up the Gareth Edwards film. 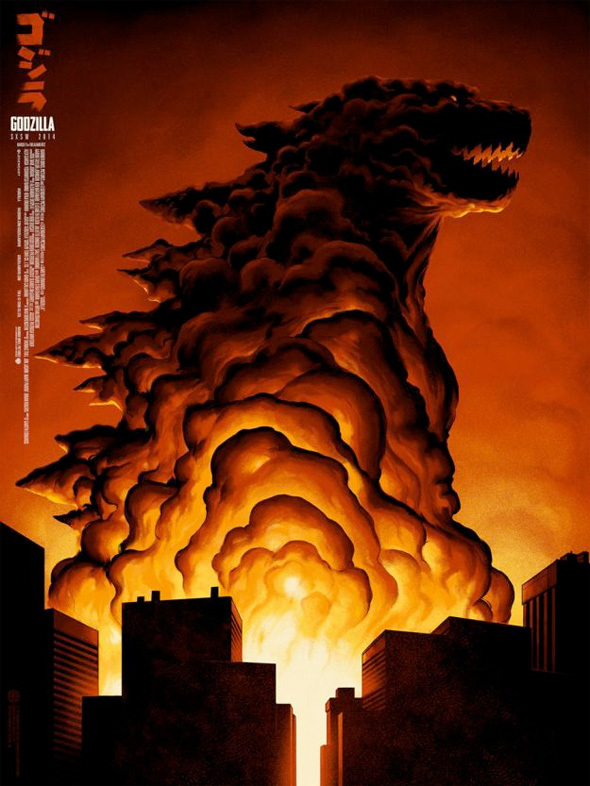 The poster features Godzilla stomping through a nondescript skyline where the fire and smoke created from his stomping forms the monster himself. It's a pretty damn cool piece of artwork, and anyone attending SXSW will have a chance to pick one up when the original 1954 film screens at the Ritz Alamo Theater tomorrow. Watch the second revealing trailer for the remake of Godzilla right here. Looks more like the devil to me.